Fourth in a series of four albums recorded live at the Prison of Socrates in Balboa, Cal. in the early 1960's, a collection of ballads, pop and folk songs. This is the fourth album in a series of four recorded by Tim Morgon at the "Prison of Socrates" in Balboa, Cal. back in the mid 60s. This last album was made up of tapes from prior recording sessions, and was released after Tim had left the "Prison" and started working other clubs after almost 6 years in Balboa. Although Tim was classified as a folk singer, he enjoyed all types of music, favoring love ballads and country-folk tunes. He always adapted songs to his liking, in fact he said he would "Morgonize" a tune, because he loved putting his heart into a song. Then there were other times when he would have fun with a song, but still doing it in his own special way. This and the other 3 albums now on CD, are an attempt to let Tim's old fans go back in time and relive the earlier days of their lives, enjoying the beach towns, the memories of walking the steets of Balboa or Balboa Island and going to the "Prison" with someone special. Hoping that they would not be too late to miss the last ferry boat to Balboa Island. 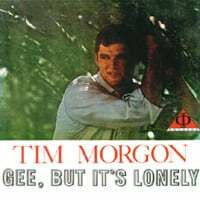 As one fan said " I put on Tim's CD, poured a glass of wine, closed my eyes, and there I was back at the "Prison" in 1963 listening to Tim Morgon singing to me". I went to high school from 1960 to 1963 in Southern California and went to many shows at the Prison of Socrates between cruising Newport or Balboa. Most of the songs we heard at the Prison are on the four recorded live Albums. I listen and sing along with the songs every week. Tim morgon is great. His songs make you feel sunny.